In this letter, we're going to cover a few things that will greatly help you map out where your story is going. In the last letter, you made a list of events that will take place in your novel. We called this list your “basic story flow” list. It’s critical that you know where each and every event fits in your story’s timeline. If you don’t, you may wind up with a confusing narrative where a bunch of seemingly random things happen, but don’t add up to anything. They don’t make a point. Your readers expect your story to make a point. That's why we're going to dive into the world of story structure. So your story not only makes a point, but it makes the precise point you defined for it when you started crafting your novel. To ensure your story makes a point, we need to do something brave. What? Save the cat? What on earth does saving cats have to do with writing? What are you talking about? Don’t worry. I’m not talking about literally saving a cat, or any other animal for that matter. I’m talking about saving your story, saving it from an aimless plot that leads your reader down a path of confusion--and ultimately frustration. How will using a method with such a crazy sounding name save your story? By employing an easy-to-understand, time tested story structure outline. Let me explain. 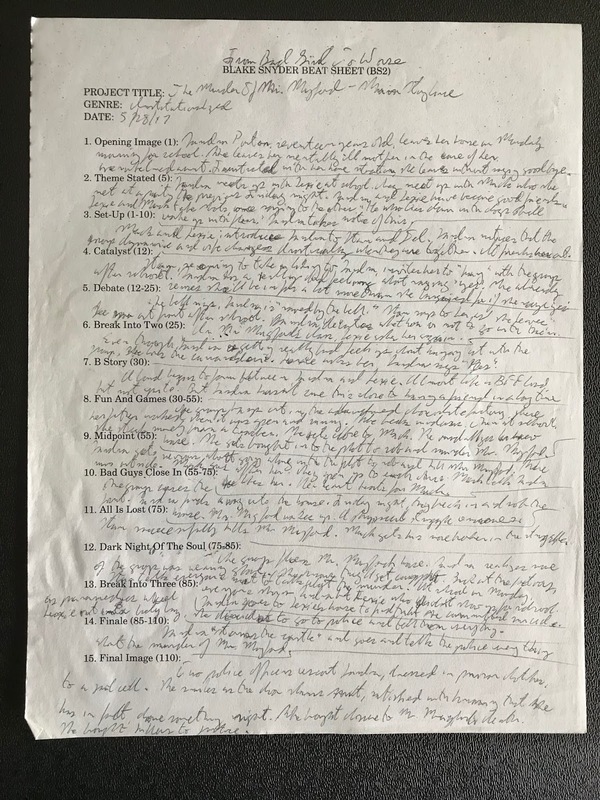 Not so very long ago, Blake Snyder, a screenwriter, found a way to demystify story structure while crafting his own screenplays. Through countless hours of research, he identified key events that happen at certain points in every great movie. He gave these key points names and definitions that the average layperson could understand, making screenwriting more accessible to the general public. Suddenly, the know-how of screenwriting was available to anyone who wanted to write a screenplay. The great thing about the Save The Cat! method of story crafting is that novelists and other fiction writers can use this method to map out storylines for novels, novellas and short stories. In case you were wondering, yes, I used the Save The Cat! method to build the story structure of my very own young adult novel, From Bad Girl To Worse. I even used it to build the story structure of all the character backstories for the novel. Surely, you get at least some idea of how useful the Save The Cat! method is. Would you like to use it for your story? I thought you might. Let’s jump right in, shall we? For this exercise, you will need a copy of Blake Snyder’s beat sheet. You can download it here. This is where you'll sketch out the events listed in your basic story flow list. This is also where you'll begin to make sense of all the great scenes you conjured up. The Blake Snyder beat sheet, otherwise known as the BS2, will help you determine which scenes need to be in the story, and which ones need to go bye-bye. If you want to see what a completed beat sheet looks like, take a look at my beat sheet for From Bad Girl To Worse. (The original title of the story was The Murder of Mr. Mugford). Following the example of my sheet, enter the title of your novel if you already have it, the story genre and the date. If you don't already have a title, I'll show you how to create a compelling title for your story in a future letter. For the sake of time, I will not go into the details of each of the fifteen beats on the sheet. I strongly recommend that you study Blake Snyder’s book Save The Cat! Studying this book from cover to cover will give you a thorough understanding of all the beats we discuss. You’ll know what the “Theme Stated” beat is, as well as the “All Is Lost” beat, and how these beats can turn your story into a novel readers love. You'll need to know the Save The Cat! beats inside and out, because from this letter forward, I'll be referring to these beats—a lot. For a quick and dirty rundown of the beats, take a look at this PDF. It makes for a handy reference. I cannot stress enough how important it is to study and know the Save The Cat! method. In my personal experience, mastering this process of crafting a story helped me in ways I can’t even describe. If I'd not known how to implement these valuable principles in writing From Bad Girl To Worse, it would have been a whole lot harder for me to write the story. The Save The Cat! 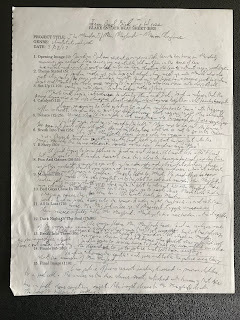 story paradigm, along with the instructions in my letters to you will help you write a novel that readers can't put down until they finish it. In my next letter to you, we will examine the Cat! beats in more detail. P. S. – The term “save the cat” comes from an old story device used in many movies where in the beginning, or the Opening Image, the hero does something selfless, or even heroic, like saving a cat stranded in a tree. The purpose of this device was to immediately get the audience to like the hero. P. P. S. - Think of your favorite story. Chances are excellent that the protagonist did something to make you immediately like her. And she probably did that thing toward the beginning of the story. Pretty neat, huh?